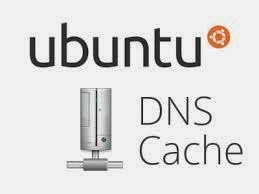 In this article, we will discuss how to install and configure the Bind9 DNS server as a caching or forwarding DNS server on Ubuntu 14.04 machines. These two configurations both have advantages when serving networks of machines. We will be demonstrating two separate configurations that accomplish similar goals: a caching and a forwarding DNS server. We will show you how to configure the client machine to use the DNS server for queries. We will show you how to configure the DNS server in two different configurations, depending on your needs. The first configuration will be for a caching DNS server. This type of server is also known as a resolver because it handles recursive queries and generally can handle the grunt work of tracking down DNS data from other servers. When a caching DNS server tracks down the answer to a client's query, it returns the answer to the client. But it also stores the answer in its cache for the period of time allowed by the records' TTL value. The cache can then be used as a source for subsequent requests in order to speed up the total round-trip time. Almost all DNS servers that you might have in your network configuration will be caching DNS servers. These make up for the lack of adequate DNS resolver libraries implemented on most client machines. A caching DNS server is a good choice for many situations. If you do not wish to rely on your ISPs DNS or other publicly available DNS servers, making your own caching server is a good choice. If it is in close physical proximity to the client machines, it is also very likely to improve the DNS query times. The second configuration that we will be demonstrating is a forwarding DNS server. A forwarding DNS server will look almost identical to a caching server from a client's perspective, but the mechanisms and work load are quite different. A forwarding DNS server offers the same advantage of maintaining a cache to improve DNS resolution times for clients. However, it actually does none of the recursive querying itself. Instead, it forwards all requests to an outside resolving server and then caches the results to use for later queries. This lets the forwarding server respond from its cache, while not requiring it to do all of the work of recursive queries. This allows the server to only make single requests (the forwarded client request) instead of having to go through the entire recursion routine. This may be an advantage in environments where external bandwidth transfer is costly, where your caching servers might need to be changed often, or when you wish to forward local queries to one server and external queries to another server. Regardless of which configuration choice you wish to use, the first step in implementing a Bind DNS server is to install the actual software. Now that the Bind components are installed, we can begin to configure the server. The forwarding server will use the caching server configuration as a jumping off point, so regardless of your end goal, configure the server as a Caching server first. First, we will cover how to configure Bind to act as a caching DNS server. This configuration will force the server to recursively seek answers from other DNS servers when a client issues a query. This means that it is doing the work of querying each related DNS server in turn until it finds the entire response. We are not going to be concerned with the majority of the files in this directory. The main configuration file is called named.conf (named and bind are two names for the same application). This file simply sources the named.conf.options file, the named.conf.local file, and the named.conf.default-zones file. To configure caching, the first step is to set up an access control list, or ACL. As a DNS server that will be used to resolve recursive queries, we do not want the DNS server to be abused by malicious users. An attack called a DNS amplification attack is especially troublesome because it can cause your server to participate in distributed denial of service attacks. A DNS amplification attack is one way that malicious users try to take down servers or sites on the internet. To do so, they try to find public DNS servers that will resolve recursive queries. They spoof the victim's IP address and send a query that will return a large response to the DNS server. In doing so, the DNS server responds to a small request with a large payload directed at the victims server, effectively amplifying the available bandwidth of the attacker. Hosting a public, recursive DNS server requires a great deal of special configuration and administration. To avoid the possibility of your server being used for malicious purposes, we will configure a list of IP addresses or network ranges that we trust. Above the options block, we will create a new block called acl. Create a label for the ACL group that you are configuring. In this guide, we will call the group goodclients. We explicitly turned recursion on, and then configured the allow-query parameter to use our ACL specification. We could have used a different parameter, like allow-recursion to reference our ACL group. If present and recursion is on, allow-recursion will dictate the list of clients that can use recursive services. However, if allow-recursion is not set, then Bind falls back on the allow-query-cache list, then the allow-query list, and finally a default of localnets and localhost only. Since we are configuring a caching only server (it has no authoritative zones of its own and doesn't forward requests), the allow-query list will always apply only to recursion. We are using it because it is the most general way of specifying the ACL. This is actually all that is required for a caching DNS server. If you decided that this is the server type you wish to use, feel free to skip ahead to learn how to check your configuration files, restart the service, and implement client configurations. Otherwise, continue reading to learn how to set up a forwarding DNS server instead. If a forwarding DNS server is a better fit for your infrastructure, we can easily set that up instead. We will be using the same ACL list to restrict our DNS server to a specific list of clients. However, we need to change the configuration so that the server no longer attempts to perform recursive queries itself. To do this, we do not change recursion to no. The forwarding server is still providing recursive services by answering queries for zones it is not authoritative for. Instead, we need to set up a list of caching servers to forward our requests to. Afterward, we should set the forward directive to "only" since this server will forward all requests and should not attempt to resolve requests on its own. Save and close the file when you are finished. You should now have a forwarding DNS server in place. Continue to the next section to validate your configuration files and restart the daemon. Now that you have your Bind server configured as either a caching DNS server or a forwarding DNS server, we are ready to implement our changes. Before we take the plunge and restart the Bind server on our system, we should use Bind's included tools to check the syntax of our configuration files. If there are no syntax errors in your configuration, the shell prompt will return immediately without displaying any output. If you have syntax errors in your configuration files, you will be alerted to the error and line number where it occurs. If this happens, go back and check your files for errors. Now, open a new terminal window to configure your client machines. Now that you have your server up and running, you can configure your client machine to use this DNS server for queries. Log into your client machine. Make sure that the client you are using was specified in the ACL group you set for your DNS server. Otherwise the DNS server will refuse to serve requests for the client. We need to edit the /etc/resolv.conf file to point our server to the name server. Changes made here will only last until reboot, which is great for testing. If we are satisfied with the results of our tests, we can make these changes permanent. Now, you can test to make sure queries can resolve correctly by using some common tools. PING google.com (173.194.33.1) 56(84) bytes of data. This means that our client can connect with google.com using our DNS server. As you can see, the cached response is significantly faster. As you can see, the reverse lookup also succeeds. IPv6. You can fix this issue by telling Bind to only use IPv4. You should not see these errors in the logs again. As mentioned before, the /etc/resolv.conf settings that point the client machine to our DNS server will not survive a reboot. To make the changes last, we need to modify the files that are used to generate this file. Save and close the file when you are finished. Next time you boot up, your settings will be applied. Save and close the file when you are finished. Your client should use those settings at next boot. You should now have either a caching or forwarding DNS server configured to serve your clients. This can be a great way to speed up DNS queries for the machines you are managing. If you want to create a DNS server that is authoritative for your own domain zones, you can configure an authoritative-only DNS server or combine these solutions.